This town has it all! 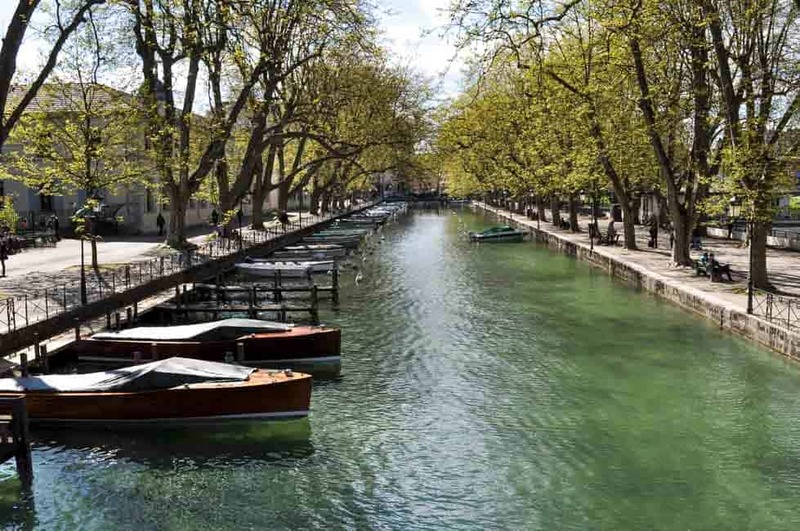 Annecy is a spectacular city in the Haute-Savoie region of southern France. It’s been dubbed “the Venice of the Alps” for its stunning setting, complete with flower-lined canals, spectacular mountain views and a translucent lake. Want to go swimming, boating, or biking? Check. Go for a romantic stroll? Check. 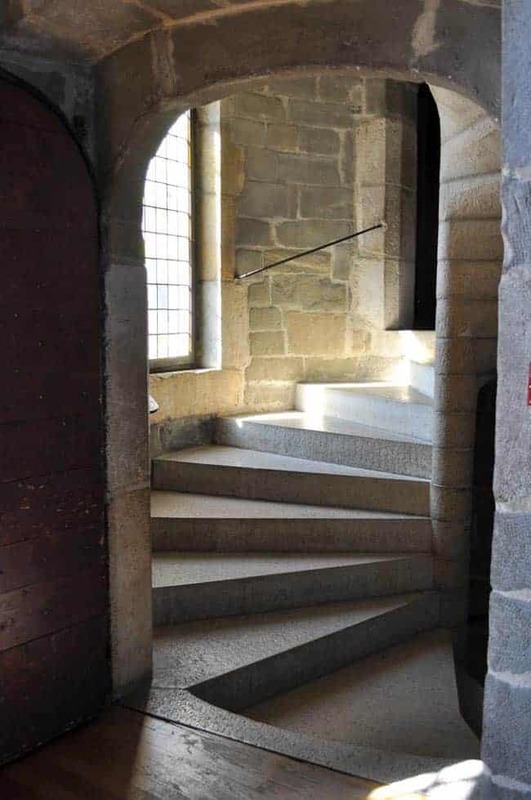 Explore a medieval castle? Annecy has that too, and a lot more. 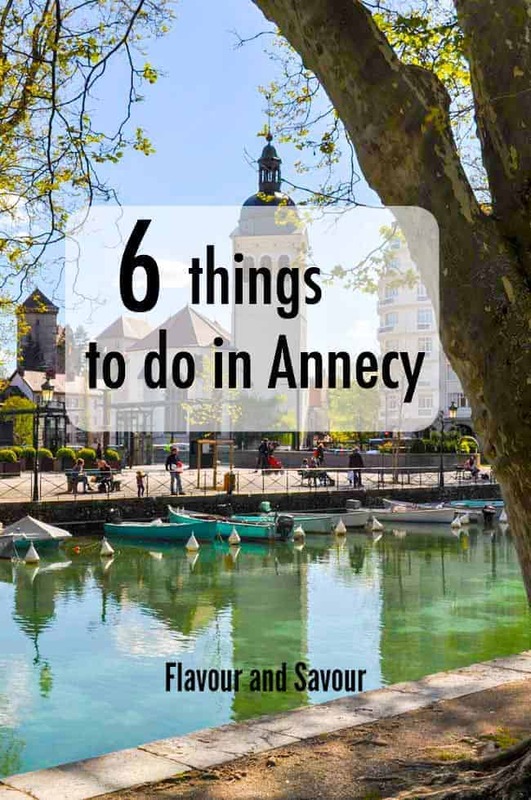 We enjoyed everything about this beautiful town on a recent trip, so I’m here to share some of our favourite things to do in Annecy. 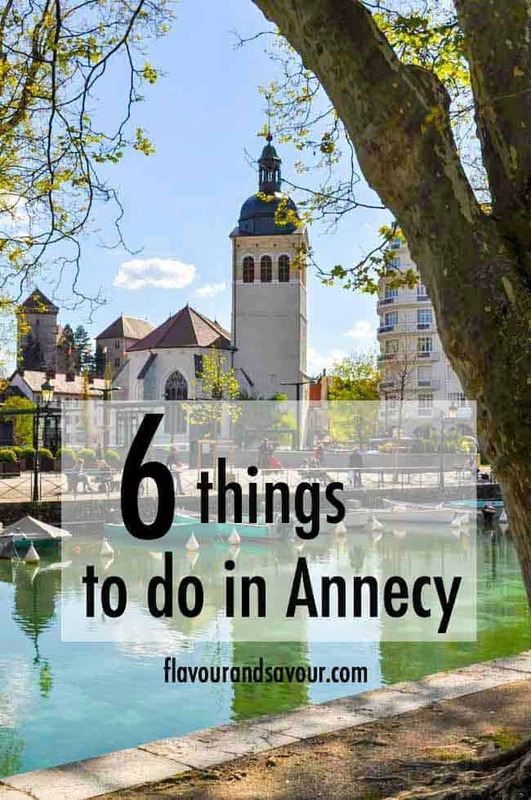 Here are my suggestions for six things to do in Annecy. 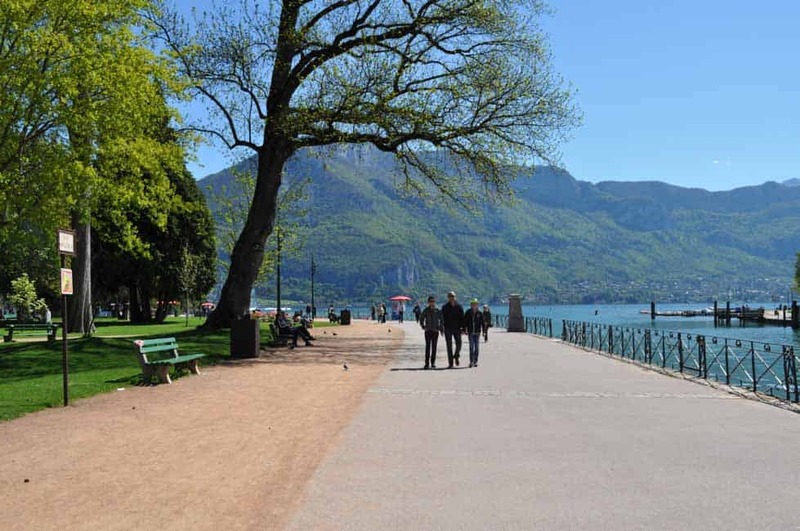 Much of Annecy is traffic-free and seems designed just for ambling. We picked up a Town Walk brochure from the TI and followed it to get a feel for the city. It’s easy to find your way, as the lake forms a boundary. Picturesque canals, narrow lanes and intriguing passageways make this a perfect town for a romantic stroll. We spent hours just ambling along the canals and the lakeshore, taking in the stunning sights and enjoying the warm sunshine. 2. 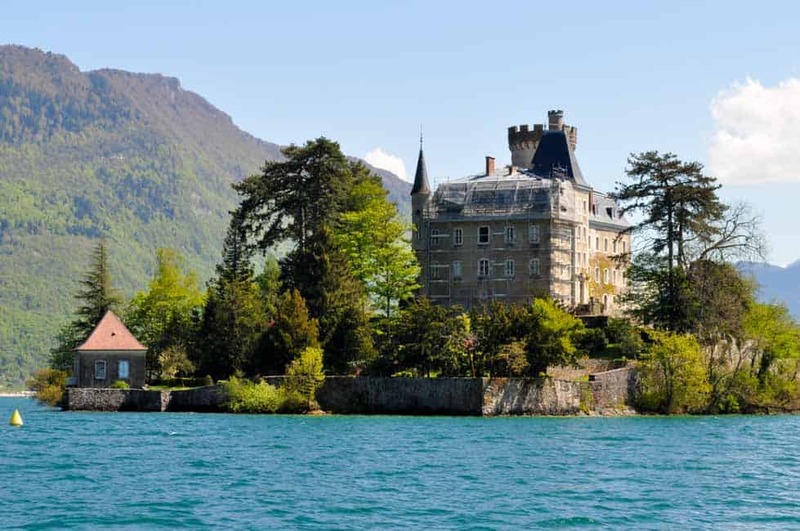 Take a boat tour on Lake Annecy. Several companies offer boat cruises on the lake. Getting out on the water gives you views of the town, the surrounding area, and the mountains. You’ll likely be able to watch hang gliders, too. Head to the Embarcaddere near the Jardins de L’Europe and look at the options. The largest company is the Compagnie des Bateaux du Lac d’Annecy. While lunch and dinner cruises are available, we chose a one-hour cruise with no stops and it was just the right amount of time for us. Get your tickets in advance and get in the queue about half an hour before the scheduled departure to get a good seat on the boat. 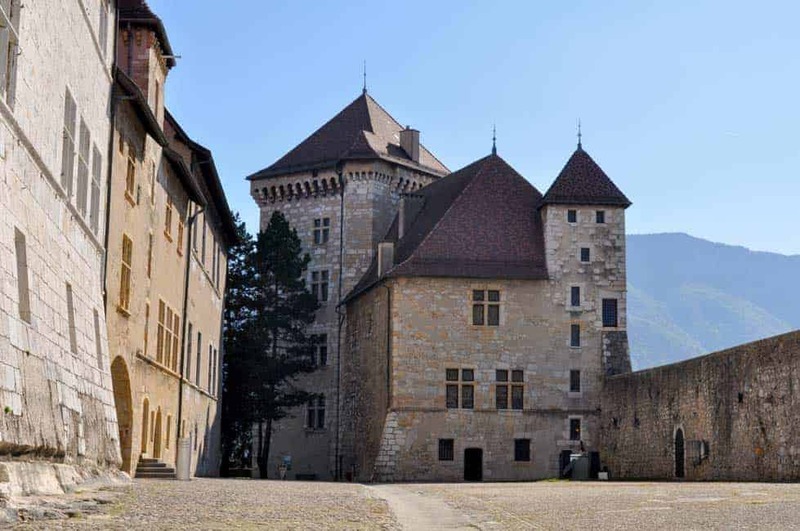 Annecy Castle (Chateaux d’Annecy) is definitely worth a visit. It’s a short walk uphill from the town. It dates from the 12th Century and 4-foot thick walls from that time are still visible. The Chateau was built over a period of four hundred years and then fell into disrepair. The city bought and restored it and it now houses a museum. The hilltop views from the castle are spectacular. 4. Bask in the sunshine in an outdoor cafe. You’ll have lots of options from which to choose! The streets are lined with outdoor cafés and we found the service was excellent in every one we tried. 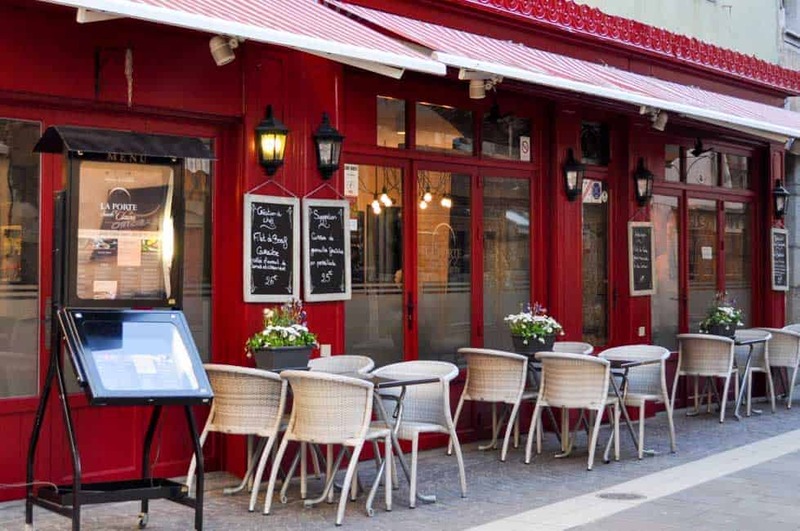 Enjoying a glass of local Savoie wine or Baton de Feu beer while watching the world go by can be a great way to get a feel for this beautiful town. 5. Have dinner at Le Fretî. 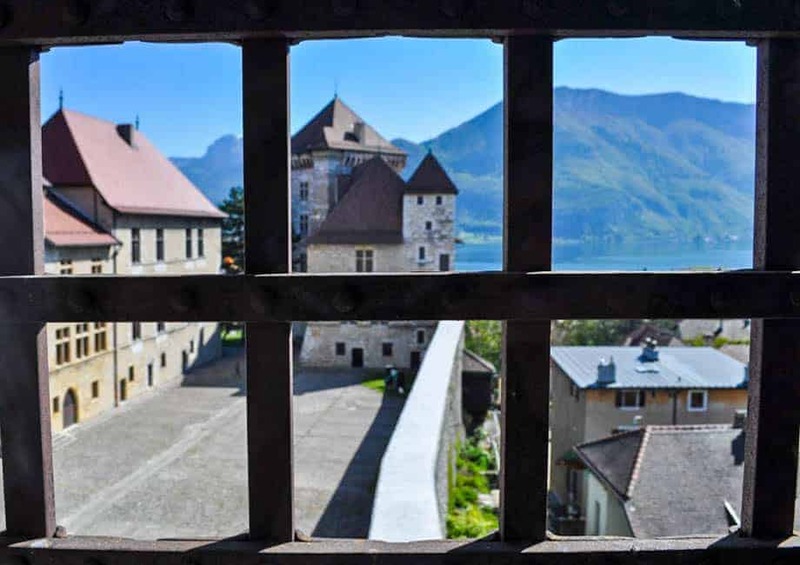 Want to try some of the local food specialties in Annecy? Order Raclette or Fondue. Or both! If you leave Annecy without trying one of the regional specialties, you’re missing out! Heavily influenced by Swiss cuisine, the food in Annecy is hearty. Forget your diet, just for today. Le Freti is a popular restaurant, so call ahead to make a reservation for dinner. Warning: this is a cheese-lover’s paradise! Fondue and raclette are their specialties. If you’ve never had raclette before, you’re in for a fun experience. It was something new for me and the friendly staff went out of their way to explain and show us just how to eat this incredible meal of cheese, cheese and more cheese! Paired with a traditional pitcher of local wine, we had a great time enjoying this regional specialty. The server set up the raclette grill right on the table. The grill consists of two parts. 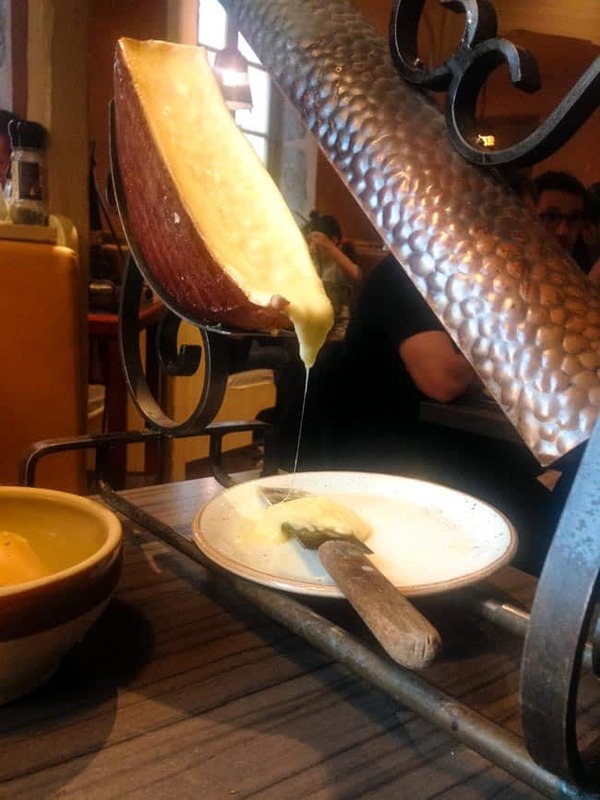 One holds an enormous half round of Raclette cheese and the other holds a heating element which can be moved closer to melt the cheese, or further away when you need a break! 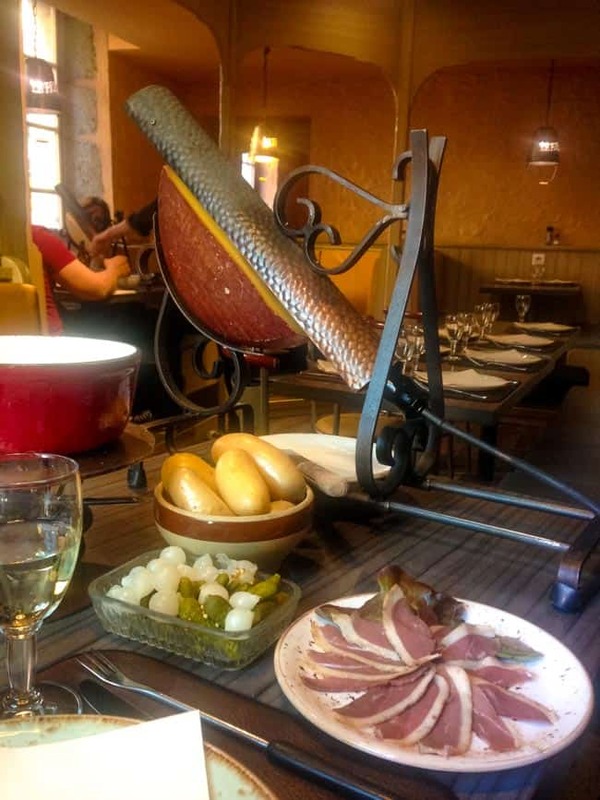 The traditional foods served with raclette are boiled potatoes, cured ham, cubes of fresh bread, cornichons and pickled onions. 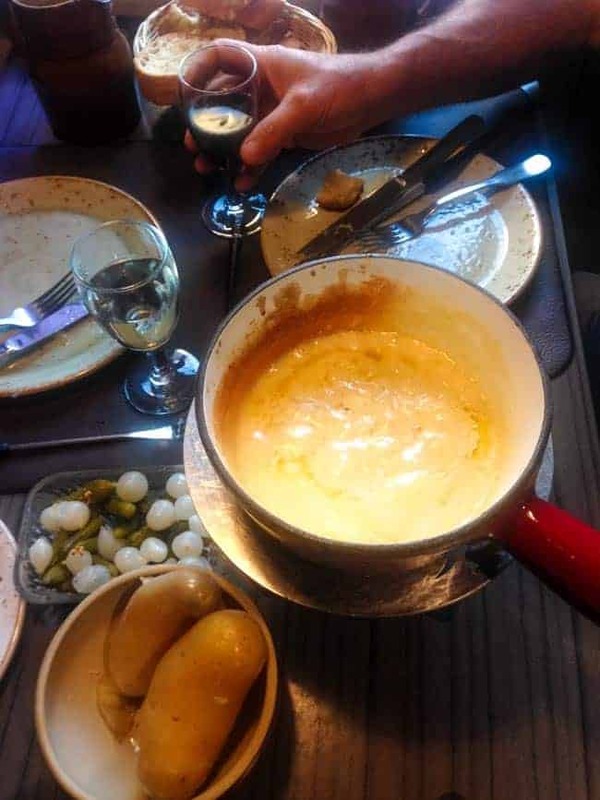 Their fondue is also immensely popular and is certainly enough for two to share. 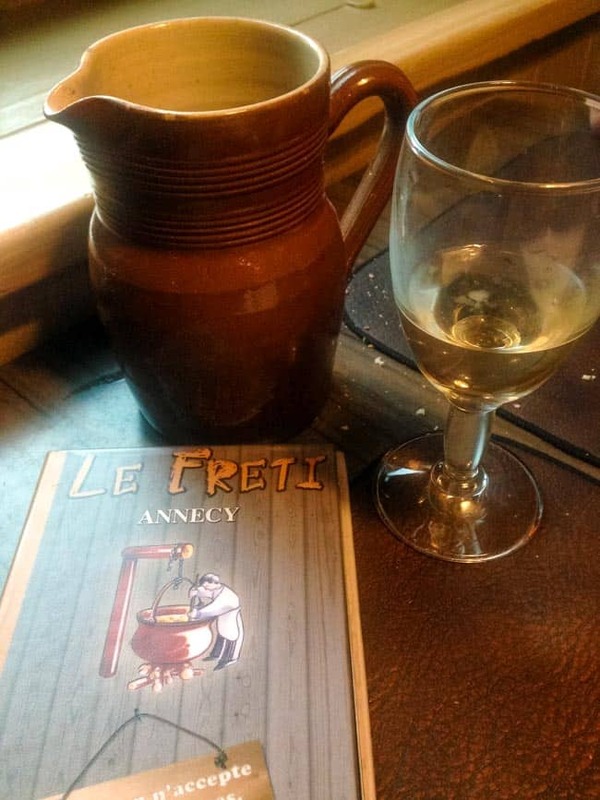 (But we didn’t :)) Eating here at La Freti was one of our favourite things to do in Annecy. 6. 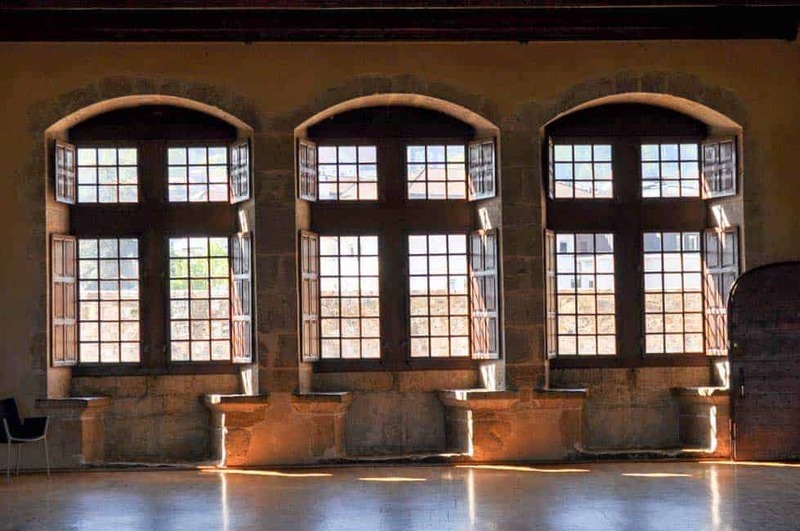 Take a photo by the 13th Century Palais de l’Isle on the River Thiou. Why? Just because everyone does and it’s a uniquely beautiful sight. While it has an interesting history as a former prison and it now houses a museum, based on mediocre reviews from guide books, we didn’t tour the museum. With unique shops to poke into, canals to wander along, and sidewalk cafés to relax and soak up the sun, we had more than enough activities to fill our time in this intriguing city. We visited Annecy in May, but I think it would be fun to visit in December to see the Christmas markets, too. If you get a chance, go! 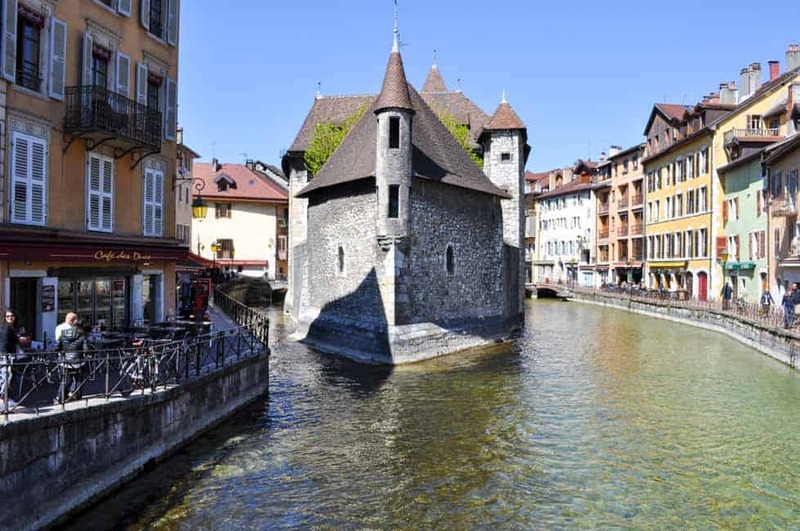 I hope this guide to things to do in Annecy helps make your visit as memorable as ours. And if you’re heading to Italy, be sure to ready my guide Traveling in the Heart of Tuscany for another truly memorable trip! Shalom from Jerusalem,the idealism capital.by by until next trip…. Isn’t it a beautiful city? Thanks for commenting! This place is so beautiful – I am heading back this summer and cannot wait. It’s spectacular, isn’t it! Enjoy your time in Annecy! Thank you so much for showing this beautiful town! I am planning my first trip (solo) to France and Switzerland from the US for next May. It will be a 2 week, mostly, except Paris, off the beaten path of beautiful towns between Paris and the Alps. I think Annecy will be one of them. Will most likely visit Dijon as well. Would you have any suggestions for other towns to visit? I know basic French and am fairly quiet and reserved. Just want to go to places that are beautiful by train and walk around and soak in the beauty. You’re welcome, Jill! That sounds like an exciting trip you have planned. We have loved every moment of our trips to France. If you’re heading south from Dijon, you may want to take in Lyon. 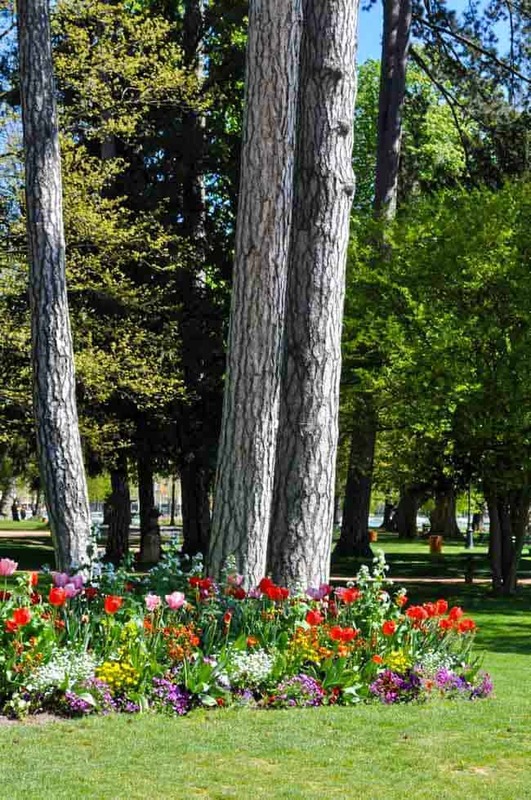 If you have time, I would strongly suggest a trip to the Provence area, especially Aix-en-Provence, Arles and maybe Avignon. You may also want to google Les Plus Beaux Villages de France for a list of those stunningly beautiful villages that are dotted throughout France. And don’t miss Annecy! Happy travels! 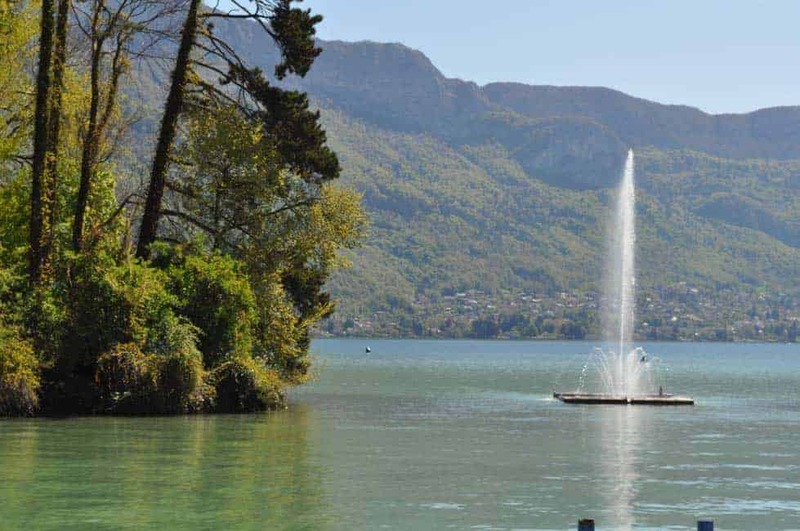 You’ve done a great job of summing up some of the wonders of Annecy. (It is our home away from home). 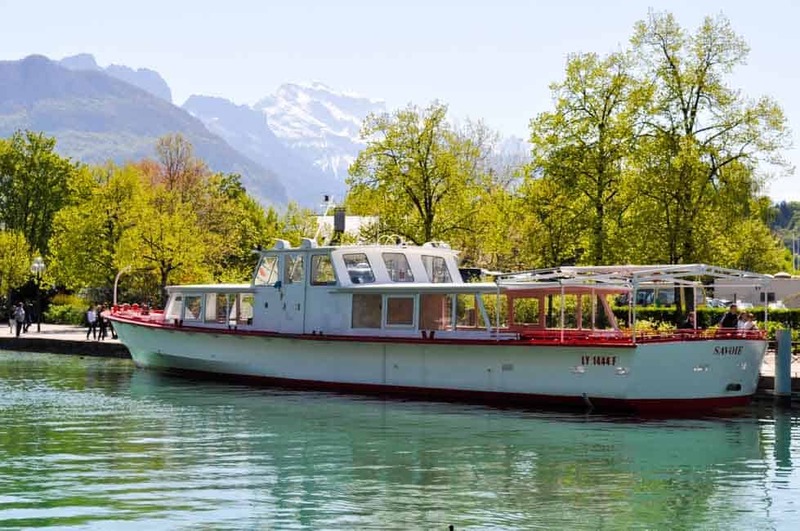 To add to your boat trip, might I suggest that people take a hop-on, hop-off option and do exactly that in Veyrier, Menthon, Talloires, Duingt…any or all of the stops are worthwhile. Thanks so much for your suggestions, Catherine!